The school holidays can be a useful time to get together with your child and talk about their future plans. For older children this is particularly important, as the time will soon come when they need to start planning to leave Brillantmont and embark on their further education at university. Students following the Brillantmont British Programme and working towards A Levels are well placed for a university career at almost any institution they choose. All students are expected to gain three A Levels in order to graduate which is also the minimum number required by most universities for admission. For a more in-depth look at A Levels, read our Introduction to A Levels, gateway to the world’s universities. Whether students choose to continue their higher education in Switzerland, head to Britain or even apply to a university in Australia or America, British A Levels are recognised by most universities and do not usually require any further study to be undertaken. A Levels have a long history and are seen by many as a rigorous and testing study programme that not only teaches the fundamentals of any subject but also give students the wider study skills required for a successful time at university. As a British qualification, all UK universities naturally accept A Levels, but it should be noted that the country’s best institutions such as Oxford and Cambridge expect a very high standard and usually only accept students with the highest grades. 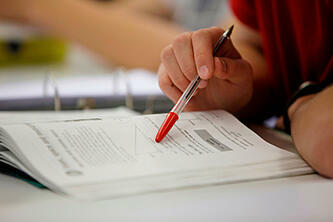 In the case of A Levels this means achieving at least A grades, or preferably A* grades in all subjects. Wherever your child decides to apply for university, an application with good A Level grades will always serve them well with their chosen institution. 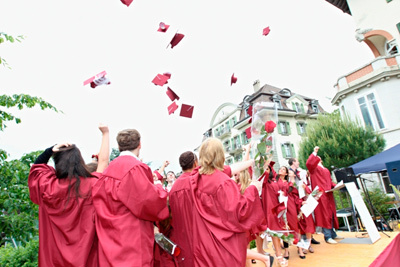 At Brillantmont we offer both the American High School programme and British A Levels as routes to higher education in Switzerland and around the world. Click here to find out more about our Secondary Programme and to download a brochure.